Be the showstopper of the event by wearing this remarkably designed kurta from Stop. 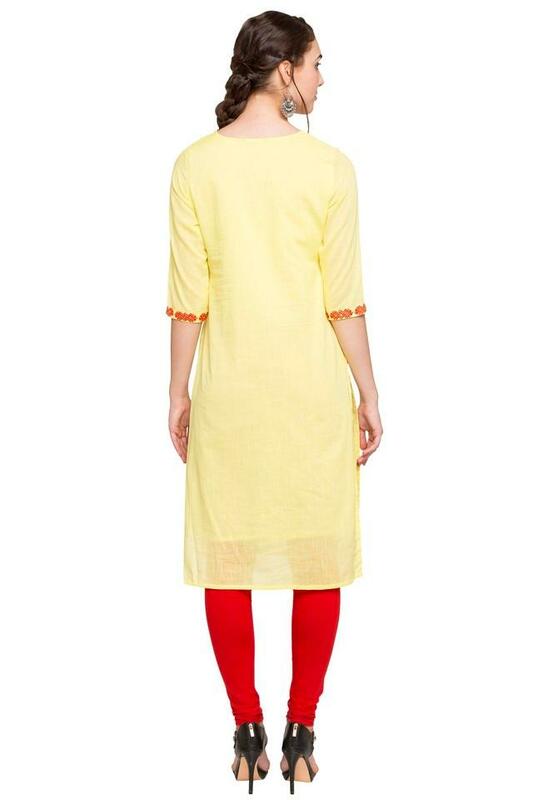 It is crafted from good quality fabric that ensures you stay comfortable all through the day. 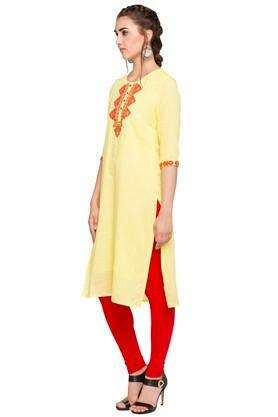 This kurta features lovely embroidered pattern that adds to its looks. 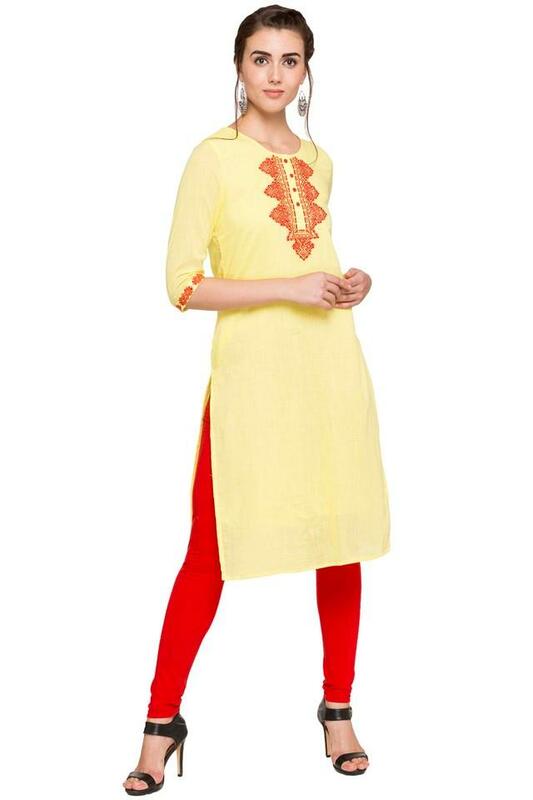 It features three quarter sleeves and round neck that accentuates its look. 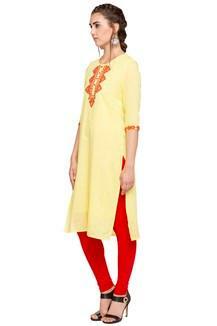 Add a contemporary edge to your looks with this kurta. Complement this kurta with a pair of different leggings for a chic look.